Residents of San Marcos are invited to provide input on the draft Greenways Plan on Wednesday, November 9 from 5:00 to 8:30p.m at the San Marcos Activity Center. 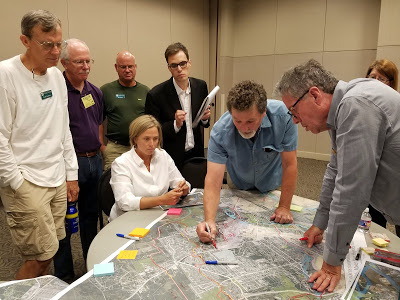 The come-and-go open house will feature exhibits of proposed plans for city thoroughfares, the priority corridor, bike routes, and the greenways and trails system. Attendees are encouraged to provide thoughts and comments on the plans. The Greenways Plan will be included in the city’s overall Transportation Master Plan to allow for proper planning of natural areas as elements of our transportation system. The plan can help secure greenway right-of-way for future property developments and can enhance the city’s ability to secure grant funding for developing an interconnected system of trails in our community. Paul Murray highlights a portion of the pathways. The Preferred Scenario Map (pictured right) in the comprehensive plan includes a framework for greenway locations throughout our community – some follow creeks and rivers, others parallel existing and planned roadways, or traverse parks and natural areas. These locations can be refined as work progresses and community input is provided on the Greenways Plan. In addition, the Greenways Plan will analyze right-of-way needs and provide trail categories and standards. SMGA is the city’s partner in the construction and maintenance of trails in our wonderful system of parks and natural areas. We envision a system of greenways and trails that connect everyone in our community, strengthen neighborhoods and businesses, and draw visitors and new residents. 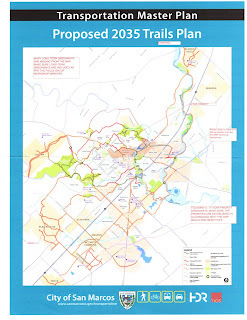 Our goal is to help develop a greenways system that sets San Marcos apart from other central Texas communities. 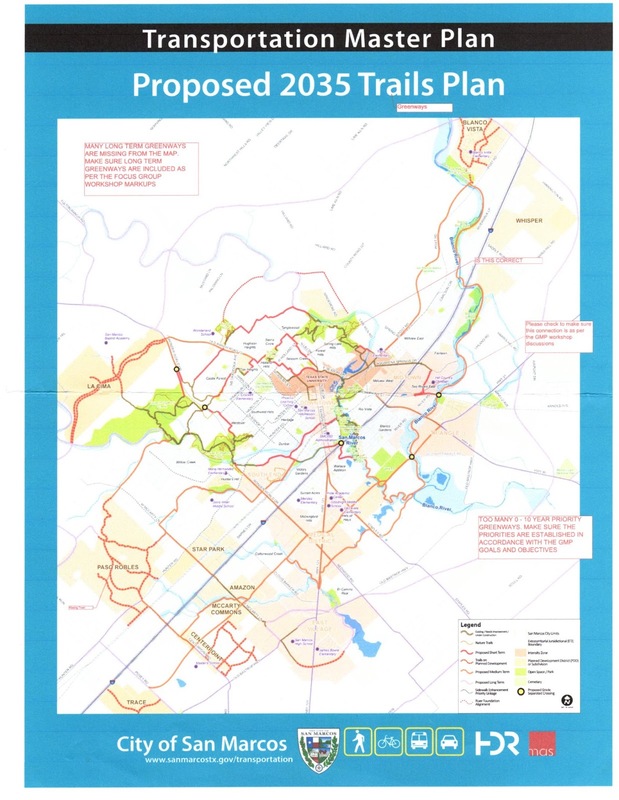 SMGA strongly believes that the Greenways Master Plan will be a key to enhancing our quality of life as San Marcos continues to grow!